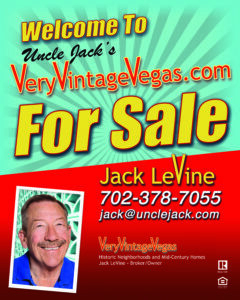 Uncle Jack's Very Vintage Vegas – Mid Century Modern Homes, Historic Las Vegas Neighborhoods, Las Vegas History and Urban Living by Jack LeVine – Low Inventory means higher prices. 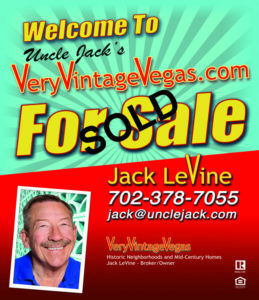 Low Inventory means higher prices. A low inventory of homes for sale could be an influencing factor for many real estate markets across the country in 2018. That is the general consensus among housing analysts and economists, according to a recent survey conducted by Zillow. Limited housing inventory has been an issue for home buyers in many markets across the country, going back over the last couple of years. According to the latest estimates (as of December 2017), the U.S. real estate market has about a three-month supply of homes for sale, on average. 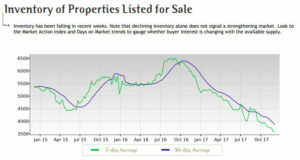 A balanced real estate market is said to have five to six months of supply, according to economists. That means most real estate markets across the country are experiencing constrained inventory conditions. Perhaps that’s why home prices have been rising steadily over the last couple of years. This is a quarterly survey of more than 100 housing market experts and economists nationwide. In the latest survey, low home-building activity and inventory levels were singled out as one of the most surprising and significant housing trends of 2017. Additionally, most of the respondents said they expected those conditions to continue throughout 2018. It’s a supply and demand story, as always. Many real estate markets across the country are experiencing steady demand from buyers, but there just aren’t enough homes listed for sale to meet that demand. Under such conditions, home prices tend to rise over time. That’s what we have seen during 2017, and it is expected to continue (to some degree) into next year. 36.5 percent of those with an opinion said low mortgage rates were most likely to change next year. In a tight real estate market, home buyers have to work extra hard to find a suitable property, and to get their offers accepted. This is one of many reasons why it’s wise to have professional help from a real estate agent. It’s also a good idea to have your financing arranged ahead of time, before entering the market. For cash buyers, this means having the money in the bank with statements to prove it. Home buyers who are planning to use a mortgage loan can benefit from being pre-approved by a lender. Home buyers should be prepared to move quickly when the right property comes along. Due to the historically low levels of homes for sale, competition will likely remain high throughout 2018.